Home > Ask Our Experts > Can I Reject an Out of Court Settlement after Accepting it? Q.25 years ago I was injured in an industrial accident. I was offered some money by way of compensation by the company responsible which I accepted out of court. Unfortunately, what no one at the time realised was that I had suffered brain damage and was also suffering from undiagnosed Post Traumatic Stress Disorder. I was not in a "sound state of mind" and unable to make a rational decision. Is my acceptance of this offer legally binding or can I, even at this late stage, have it rejected and thrown out of court due to having experienced mental problems at the time the decision and contract of acceptance was made? One of the main aspects of a legally binding contract is the competence of both parties who are entering into the contract. 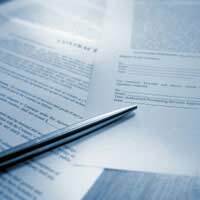 An out of court settlement is a legally binding document if both parties have agreed and accepted the terms and conditions of the contract. One of the main points of your question is the “unsound mind” aspect. A contract may not be enforceable if one of the parties was of unsound mind at the time the agreement was entered into. An unsound mind can include mental illness or disability. A person of unsound mind may not have been aware of the terms and conditions and not realised the consequences to the contract they were signing. Employers and businesses will usually settle out of court because it is less expensive for them than going to court. The money offered and accepted at the time may have been a lot less than could have been awarded by going to court. A person suffering from some form of mental illness may not have the capacity to judge whether or not the actual out of court settlement was reasonable and fair. A lawyer or legal representative should have looked over the settlement contract before signing to ensure that the injured party’s rights were intact and that the contract adhered to settlement laws. This out of court settlement may be rescinded by a judge if proof can be found that the injured party was of unsound mind at the time of acceptance. However it may be hard to prove after 25 years that the injured party was of unsound mind at the time. The injured party would need credible witnesses and experts including doctors to support this claim. There may also be time limitations that were written into the out of court settlement’s terms and conditions. A person of unsound mind should have disputed the settlement as soon as possible once they were found to be of sound mind. A contract can be rescinded once the person of unsound mind returns to normal health even if the offering party was unaware of the accepting party’s mental condition when the settlement was offered. In this case, a lawyer will need to prove to the judge that the injured party was of unsound mind when the settlement was made. @IA - was the offer of the job dependent upon references? Many jobs are and it may be that your reference has come back unsuitable. There's not much you can do to claim.